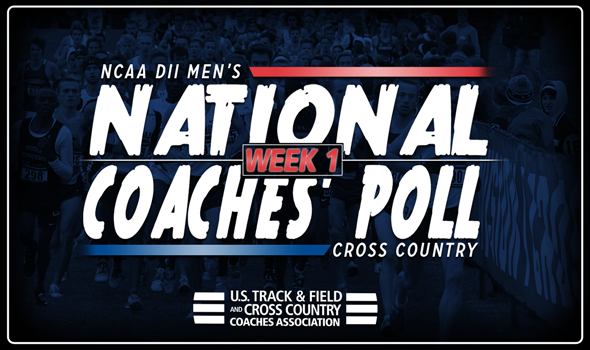 NEW ORLEANS – Last week, Adams State’s men’s program earned a first-place ranking in the U.S. Track & Field and Cross Country Coaches Association (USTFCCCA) NCAA Division II National Coaches’ Poll for the 91st time. This week, they made it No. 92. Adams State topped this week’s poll, released on Tuesday, after putting together an impressive showing at the 24th Joe I Vigil Open last weekend. The Grizzlies claimed the top-seven spots in the field, with Chandler Reid and Lucio Ramirez leading the pack while maintaining a sub-five minute mile pace. Adams State was able to run away with the team title at the meet, despite holding out star athlete Sydney Gidabuday. For its efforts, the Grizzlies were awarded all eight first-place votes in the poll for the second-consecutive week. Grand Valley State (second), Colorado Mines (third) and Chico State (fourth) all trailed Adams State in the polls once again. Southern Indiana returned to the top-five for the first time since the third week of the 2015 season after coming in at sixth in the preseason poll. The Screaming Eagles competed at the Appalachian State Covered Bridge 8K on Sept. 1, placing second amongst 11 teams and just four points behind champion Florida State. James Cecil led the way for USI, placing third with a time of 26:13.94. The remaining five slots in the top-10 all saw some sort of movement from the preseason poll. No rise was more meteoric than Mount Olive, who moved up nine spots to seventh, marking a new program-best ranking. The Trojans finished second at the Furman XC Classic, while senior Adam Craig placed second with a time of 23:57.60. Cal Poly Pomona rose two spots to sixth, while Saginaw Valley State moved up one spot to eighth. Cal Baptist tied CSU-Pueblo for ninth after the Lancers leapt three spots and the ThunderWolves slipped two spots. Alaska Anchorage dropped six spots to 11th, falling out of the top-10 for the first time since the final week of the 2013 campaign. Four teams made their season debuts in the rankings, as Sioux Falls (15th), Simon Fraser (17th), Walsh (23rd) and Edinboro (24th) went unranked a week ago.